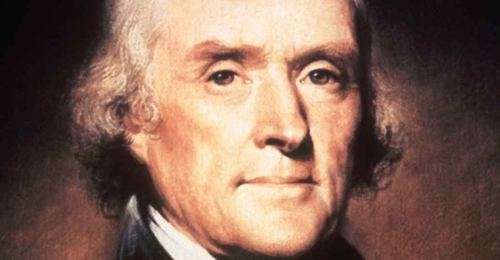 Thomas Jefferson insisted on delivering his State of the Union message as a written report. For a president to lecture Congress in person, he believed, was disturbingly similar to the British monarch's annual "Speech from the Throne" to Parliament. Jefferson's precedent was emulated by every president for more than a century. Jefferson's innovation became the unvarying norm. For the next 112 years, every American president — Democrats, Republicans, and Whigs alike — fulfilled the constitutional mandate by sending written reports to Congress. "All official Washington was agape last night over the decision of the president to go back to the long-abandoned custom," reported The Washington Post on April 7, 1913. Considering some of Wilson's other achievements — he segregated Washington, D.C., opposed female suffrage, approved a law to sterilize the disabled, screened the racist "Birth of Nation" in the White House, championed a federal income tax, and endorsed a ruthless civil-liberties crackdown — it would be stretch to describe Wilson's revival of the in-person State of the Union address as his worst offense. But it's on the list. Members of Congress jostle for center-aisle seats — sometimes staking them out hours in advance — in hopes of scoring a public handshake as the president arrives in the House chamber for the State of the Union address. It isn't a healthy practice. What the Constitution's framers intended as a matter-of-fact directive — that presidents supply lawmakers with useful information and policy proposals — has become an antidemocratic extravaganza that would have horrified Jefferson. 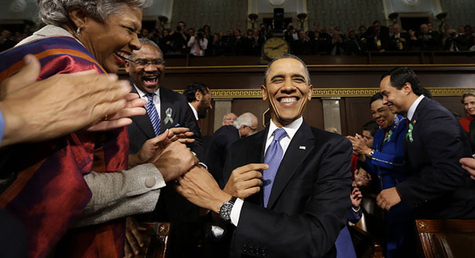 The State of the Union broadcast fuels the cult of the presidency. It encourages the delusion that the nation's "state" can somehow be embodied by a single individual, a Great Leader capable of crafting a sweeping political agenda that will bring the millennium.